Chelsea defender's agent flies to Madrid for talks | The Transfer Tavern | Where football transfer rumours fly or die! As the conversation moves from one Chelsea hero to another here at the Football Transfer Tavern, we begin to assess the claim made by the Daily Mail that Ashley Cole is on his way to Real Madrid. Whilst Frank Lampard has taken lack of a new deal rather more to heart, as our landlord can attest, Cole has arguably been more about success than sentiment in football. Whilst Cole is not impressed with the lack of a new offer, he has happily instructed his agent to find a new club for him. Former manger Carlo Ancelotti was thought to be seriously keen to link up with the player at Paris Saint Germain, yet the player is believed to favour a final career high in Spain at one of the big two clubs. Cue his agent flying out to Madrid for talks with the Spanish champions. Cole is willing to sign for the club and the deal could well see Fabio Coentrao shipped the other way. The Portuguese left back has alienated even his biggest supporters after missing training and failing to progress in his injury recovery. 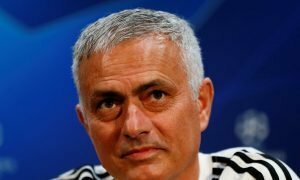 Jose Mourinho has imposed tough sanctions on the player who could be set to for a departure this January. Do you think Cole should make the move to Spain? Vote in our polls below.